What’s the scoop: This was as close to a Season 1 episode of The Flash as they’ve produced since “Flashpoint”. It had all the earmarks of a classic episode. The team worked together to use their powers in a different way, in order to find a solution to a seemingly impossible problem. Everybody got a little something to do, and humor was light and blended well with the situation. We even got a John Diggle cameo, when DeVoe showed up as Diggle at the ARGUS facility holding the nuclear powered meta he’s been chasing for the last four episodes. 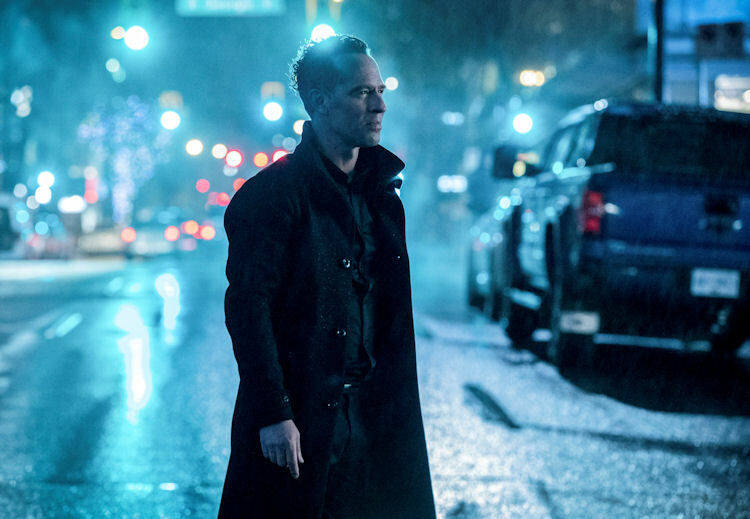 DeVoe becomes the conductor of a symphony of horrors, as he uses all the powers at his disposal to take over the base. 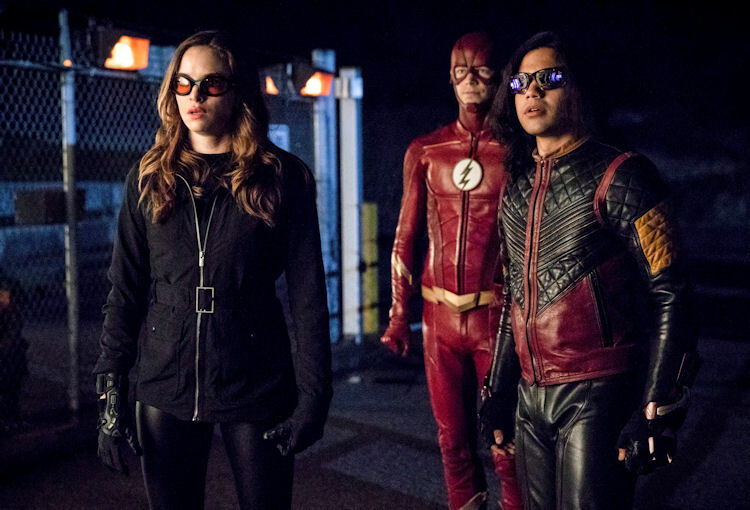 Barry has to teach Cisco and Caitlin the finer points of operating in Flash time so they can rescue the hostages, and stop DeVoe from launching his satellites. Meanwhile in B-plot Land: We got a double helping of secondary story this week. First, Iris and Harry go about scouring the earth to find DeVoe’s estranged wife and partner in crime, Marlize. Harry is still on his empathy kick, as his intelligence slips away. But, his ramblings provide Iris with an epiphany of where Marlize is holed up –- the apartment she shared at Oxford when she and DeVoe were first together. Cecile was used as comic relief to a great extent. On the verge of giving birth, her gestational metahuman powers have extended beyond mere mind-reading. Now, she takes on the personalities of nearby minds, so she wants to crush some ‘za when the bro-tastic pizza delivery guy is at the door, and she turn into a katana-waving Joe West clone, much to the real Joe’s dismay. What about the action: The Flash took a page out of Marvel’s cinematic book for their main set piece. 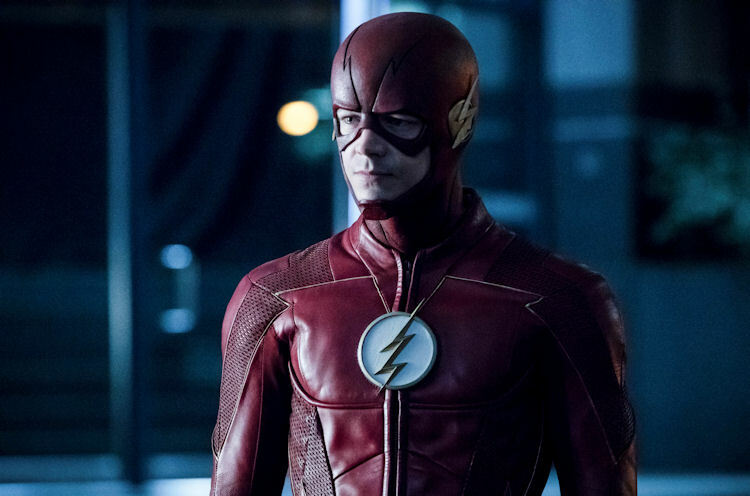 The heroes do their jobs to the letter -– hostages saved, and Barry gets enough speed to move through DeVoe’s pocket dimension, and to take out one of DeVoe’s satellites. Day saved, right? Unfortunately, Barry should know by now that DeVoe’s backup plans have their own backups. So, after explaining his philosophy of what the enlightenment means, and spouting some more about the uselessness of emotion, DeVoe merely commandeers the STAR Labs satellite to complete the chain, and activate his Stupid Ray. What’s next: Will the team stay smart enough to defeat DeVoe once and for all? I’m going out on a limb and say … yes?? Last impressions: The most troublesome part of the episode was the Caitlin character stuff. She’s seeing the same therapist everyone else is, and she slowly begins to realize she’s repressing a traumatic childhood memory. While she’s in denial, it negatively impacts her work, causing Barry to doubt himself as a leader and a hero (but worry not, it’s nothing that a Cisco pep talk can’t cure). When the mission is complete, she asks Cisco to vibe her to that memory. It turns out that young Caitlin was nearly run over by a car after falling off her bike; the stress of the situation brought out Killer Frost for the first time, and years before the STAR Labs explosion threw dark matter hither and yon. They’ve hinted around this for a couple of weeks, but even so, having all this significant information come out on the edges of the penultimate episode of the season feels rushed. That quibble aside, the Season 1 vibe this episode had made what could have been a clunky setup episode flow a little more smoothly.